2,185 sq ft; lot: 13068 sq ft - MLS# 1619446 Courtesy of Shorewest Realtors, Inc.
Come see this one of a kind home in the coveted Carol beach. 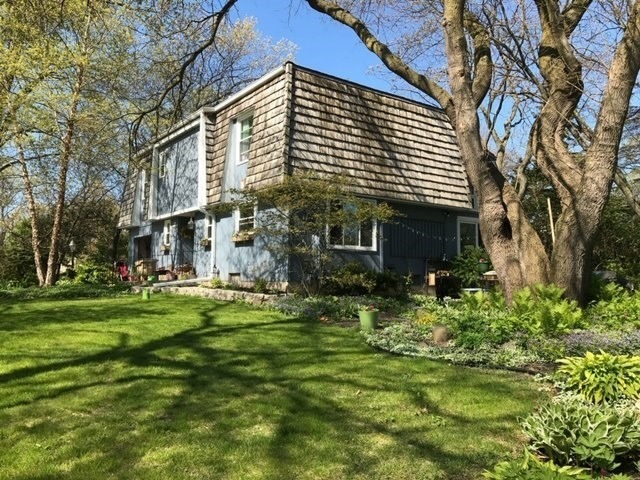 Chock-full of charm and character, this home is tucked away in a vacation-like setting, with award-winning gardens, a 1/2 block from Lake Michigan. This spacious and cozy 3 bd, 1.5 bath completely remodeled home features a French country style with a wood burning fireplace, spa soaking tub, California closets throughout and a raised organic vegetable garden for the homesteader at heart. Some of the Updates- tore out and restructured all walls throughout the entire house. New windows throughout home. New floors and carpet throughout, new bamboo flooring in master bedroom. New 24'x10' above ground garden, new 20'x16' patio. Whether you love to cook, be outside or just plain relax with a cup of coffee, this house is perfect for you!